At least 31 people died in clashes between ethnic militia and security forces in the Democratic Republic of Congo at the weekend, officials say. They say the violence in the central Kasai province was sparked by a row between an uncle and a nephew over the title of a traditional chief. Deputy Governor Hubert Mbingho N'Vula said 13 members of the security forces sent to quell the fighting were among those killed. Eighteen militiamen also died, he said. Mr N'Vula said public order had been restored in and around the city of Tshikapa in the remote province. 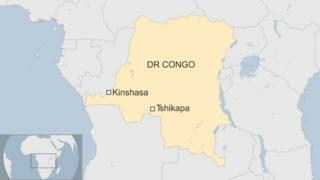 DR Congo is beset by sporadic violence between ethnic militias. This has been inflamed further by the postponing of a presidential election due to be held before the end of the year.